Removable platform for quick and easy clean up. AC/Adapter Charger and built-in rechargeable battery. Low battery indicator. 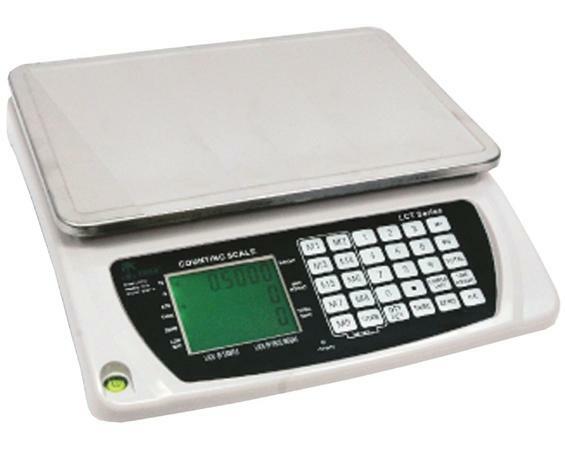 Features three lines of 0.6"H seven digit high contrast auto back lit LCD display showing Gross Weight, Unit Weight, and Count. Large 9 x 13-1/4" stainless steel weighing pan. Nine one-touch memory locations for frequently used component sample weights. Full numeric keypad for easy entry of sample size. Lb./kg. mode switching. Adjustable feet with leveling bubble. Lack of sample, piece weight indicator, stability indicator. Target count-in / count-out functions with an alarm. FOB Shipping Point. HFED-LC-T3 3.3 lb. x 0.0001 lb. 1.5 kg. x 0.05 g. 0.00002 lb. HFED-LC-T7 7 lb. x 0.0002 lb. 3.0 kg. x 0.1 g. 0.00005 lb. HFED-LC-T16 16 lb. x 0.0005 lb. 7.5 kg. x 0.2 g. 0.0001 lb. HFED-LC-T33 33 lb. x 0.001 lb. 15 kg. x 0.5 g. 0.0002 lb. 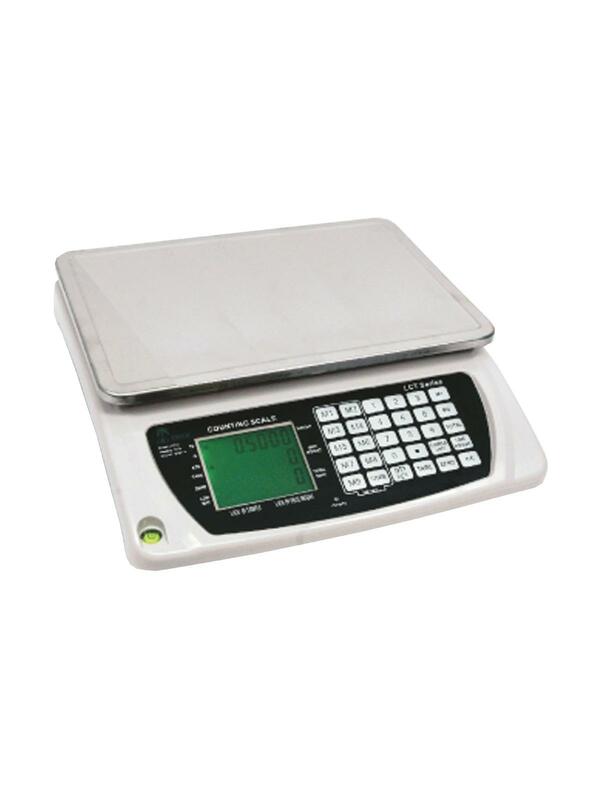 HFED-LC-T66 66 lb. x 0.002 lb. 30 kg. x 1 g. 0.0005 lb. HFED-LC-T110 110 lb. x 0.005 lb. 50 kg. x 2 g. 0.001 lb.